Considering as rather naive, the invitation for artists to work on such a perilous theme and keen to avoid working on the mere representation of a wound, Aldus chose to create a real one. 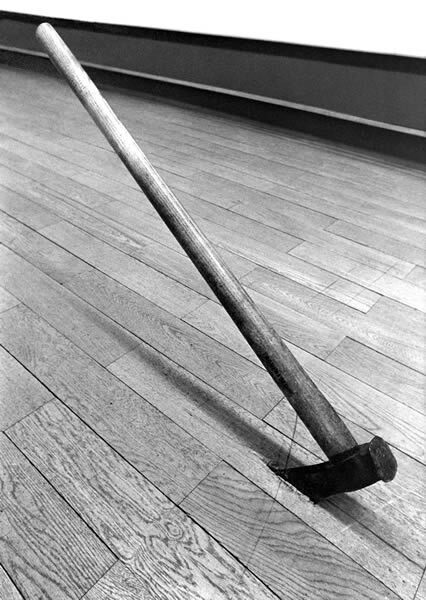 A big lumberjack's axe was swung into the wooden floor of the museum itself - a breach in the spirit of attention and reverence generally imposed by such an edifice. 'Wound' is the first of an ongoing group of Aldus' works raising questions about the meaning of the museum and the art gallery today and which includes series like 'Mapa Mundi' 1972/75, 'Some flowers at...' 1975/-, 'Gate' 1995/-'Dedications' 2016/-etc. 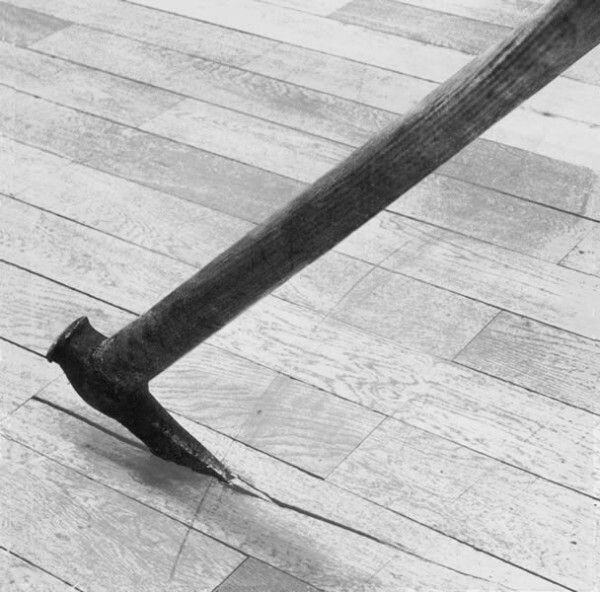 In a time when female visitors had to equip their stiletto heels with a plastic protection not to mark the parquet, Aldus' contribution to this exhibition stirred up quite strong reactions. 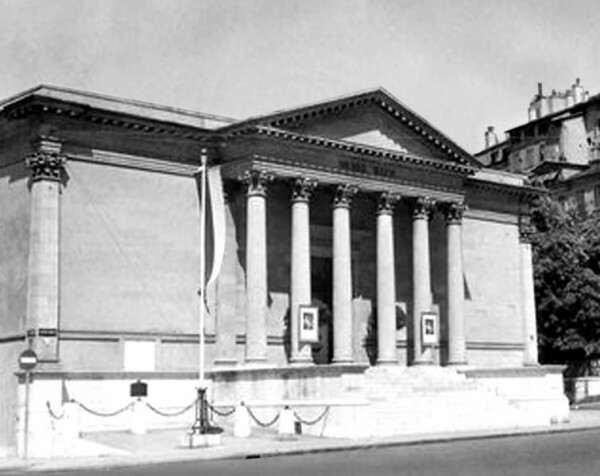 The wound wasn't only given to the museum's building. The whole cultural institution and its representatives also felt seriously touched and symbolically wounded by the work. At the time, the reaction toward the artist was quite virulent. But wasn't that the idea...?